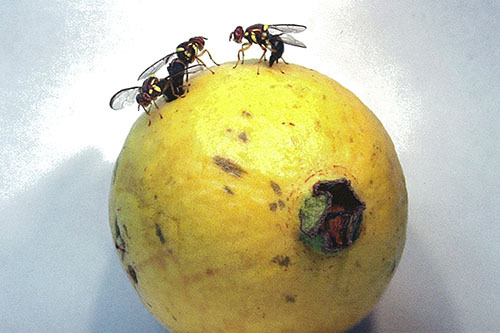 On 23 February 2018 Biosecurity Tasmania called a joint Chief Plant Health Manager/Subcommittee on Domestic Quarantine and Market Access meeting to discuss fumigation and the recent detection of fruit fly larvae on fumigated fruit from Victoria. On 2 March 2018 Biosecurity Tasmania advised the Queensland Department of Agriculture and Fisheries that, effective immediately, they have changed their import requirement for methyl bromide-treated fruit and vegetables entering the state. The new requirements are as follows. Fumigant loading rates for fruit and vegetables are not less than 30 per cent, nor more than 50 per cent, of the volume of the chamber when empty. numerous pinholes (at least six holes per square centimetre). For further details on the changed requirements please contact the Tasmanian Department of Primary Industries, Parks, Water and Environment.